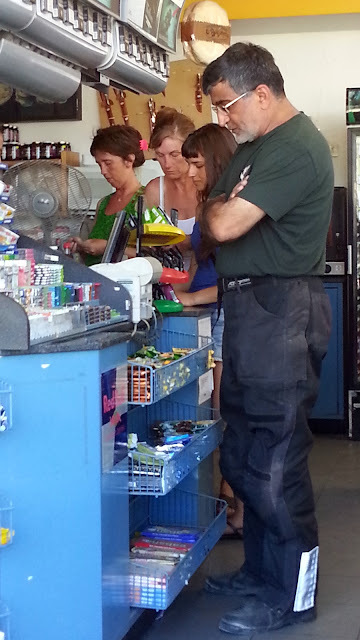 Yesterday we managed to visit Sandra & Javier at DakarMotos and hand over all the required documents for the shipping. We also managed to get the bikes cleaned in preparation for the boxing up at the airport that we did today. All in all they were very organized. The wooden pallets were ready for us , all we had to do was disassemble some of the bike , we usually remove the front tire ,windscreen , and lower the handlebar to reduce the volume and subsequently the cost. It was a bit hot in the warehouse and when we finished we had to wait for the bikes to be inspected before we could leave. 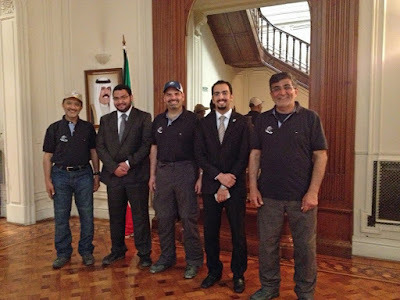 We managed to visit the Kuwait Embassy yesterday and take pictures with the staff Mr. Fawaz Al-Qahtani, and Mr. Nabil Al-Mulla ; who invited us this evening for dinner at a local middle eastern restaurant. Well the ride was nice although we did get into traffic which is expected in a big city like this. 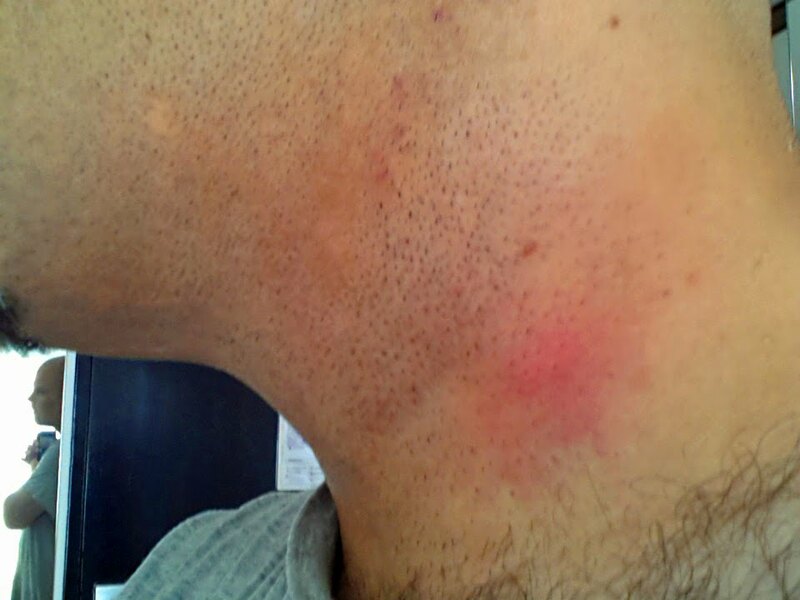 Along the way I felt something hit my neck it started to sting , with the bugs flying into my helmet I believe it could be a bee that stung me. It started to get uncomfortably hot and I was tired of riding and happy that we are almost finished form out trip , it has been two months of adventures and its time to get back home. We made reservations at a boutique Hotel and got ready to meet Sandra & Javier at Darakmotos with all the papers to start shipping which they mentioned would take 3 to 4 days. As usual all we are doing at the moment is getting to Buenos Aires to ship our bikes and finding interesting places to stay along the way we started riding inland and the scenery started to get greener and wormer since it is summer here now. 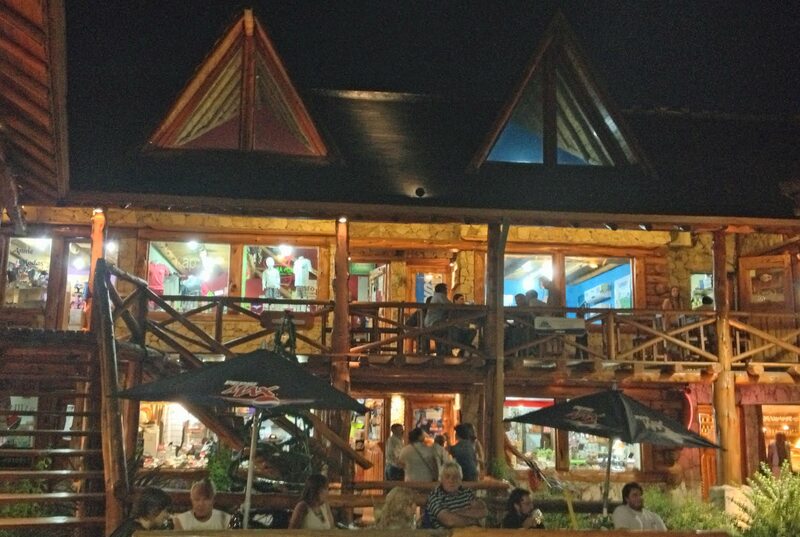 Sierra de la Ventana is a small wood cabin kinda town with many specialty shops and good Ice cream. We enjoyed walking around town at night and experiencing this laid-back place. 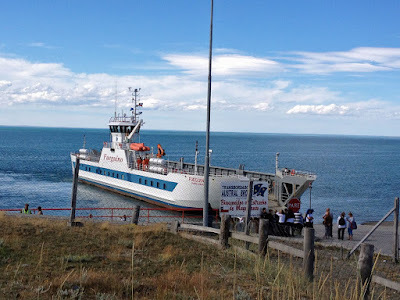 We left early from Hotel Bahia and wanting to get as many kilometers as possible we headed to Puerto Madryn where we stayed at a hotel on the waterfront It was a nice small town , just what we needed to rest and continue on our way to Buenos Aires. 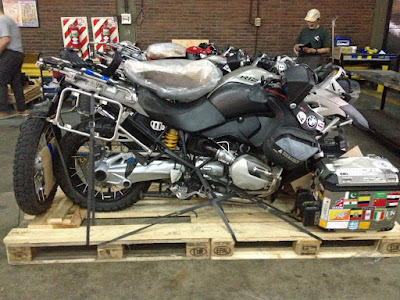 We have been in contact with Sandra & Javier at Dakarmotos in Buenos Aires for a few days now getting ready to air freight our bikes. They insisted on not using our Carnet when we entered Argentina and to get a temporal import permit since it would make shipping the bikes out of Argentina easier. 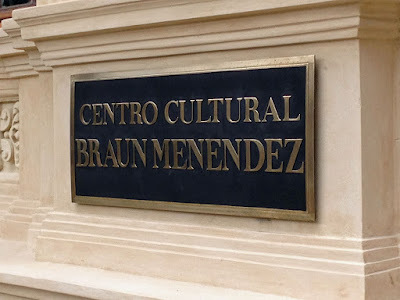 While searching for the quickest route I was looking for a place to stay and found that Sierra de la Ventana was just the place away from any big city which is were we are headed tomorrow. I tried the internet to track down any lead for a tire replacement shop but could't find any thing. What to do? 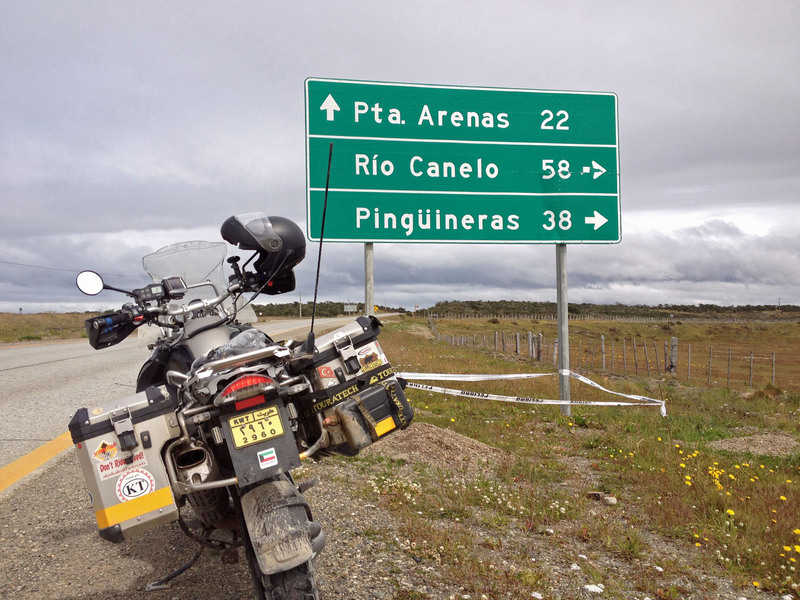 well we decided to ride any way and see if we would find a place in Rio Gallegos in Argentina which was only 260 km away. When the strangest thing happened, Ali the social bug that he is has managed to make friends with Juan Carlos the Hotel manager especially since Juan Carlos was another manager in Salta Argentina and they both looked alike. And right when we were about to leave we ask if he knows where we can get tires for our bikes. He says he may know some one and casually takes out his phone and makes a phone call he then states that his friend has three rear tires for our bikes. He gets in his car and we follow him to a professional workshop with no sign but pretty impressive hardware having at least 4 bike Jacks and the exact Heidnew tires to replace the ones we had dilemma resolved. Two hours later we were on our way to Argentina arriving just before dark at Puerto San Julian where we had stayed before. 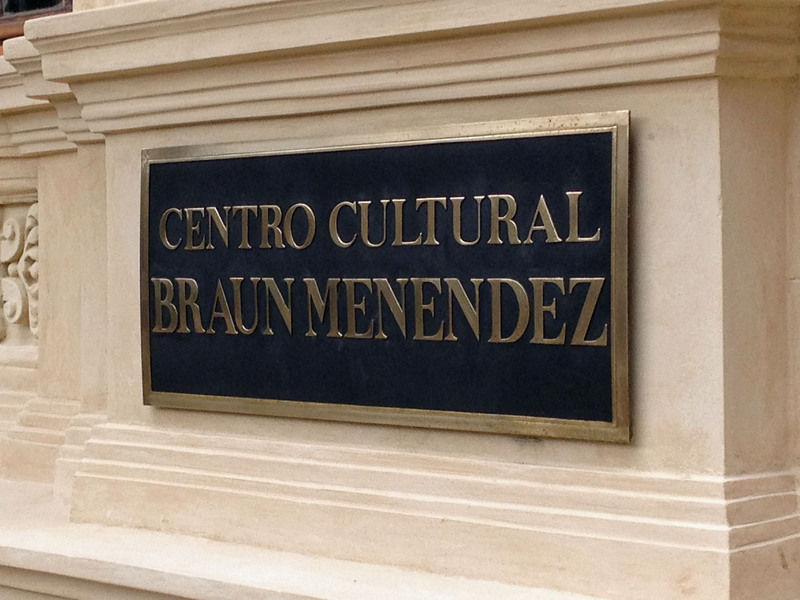 While we were waiting for news on shipping our bikes to Kuwait we took a tour of Punta Arenas and visited the Braun Menendez Palace and took a tour. 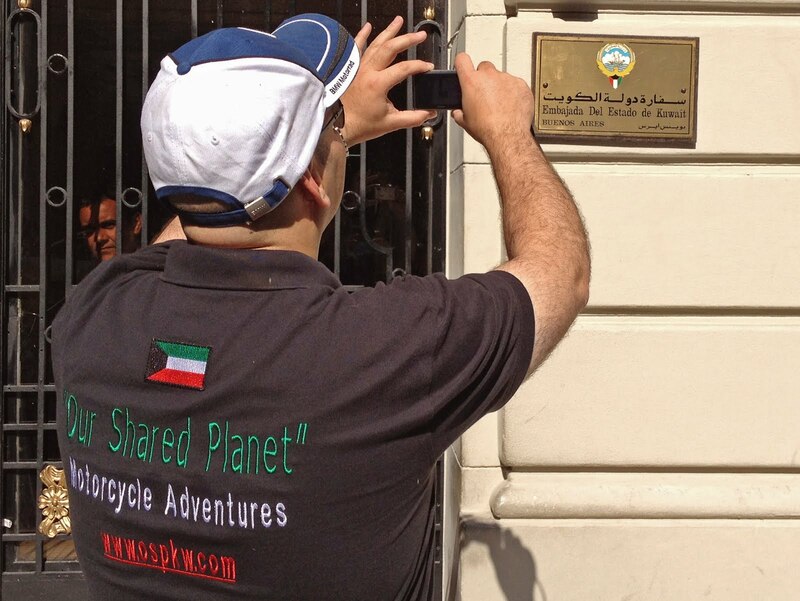 We finally got the emails regarding the shipping , first if we were willing to ship the bikes to Doha Qatar , which I think would be fine it is only 8 hours to Kuwait and we could do it on a weekend. then I mentioned if it would be better to ship to Dubai since they have a big shipping hub. 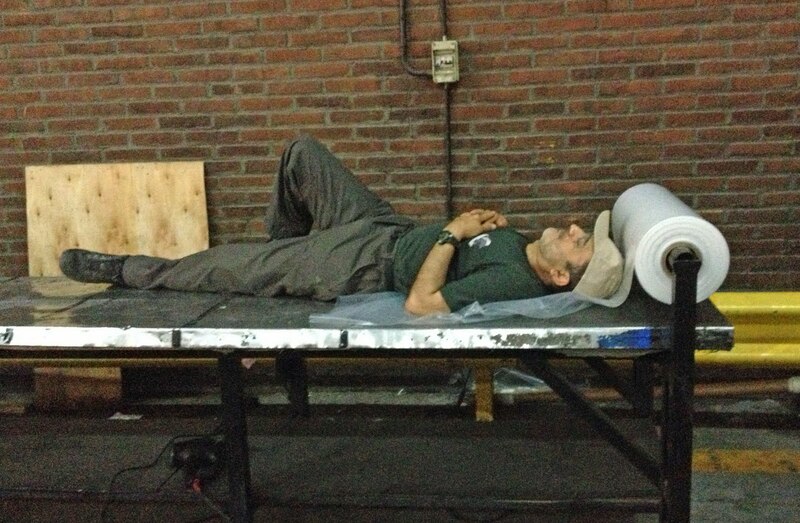 A half an hour later they stated that he couldn't do it and that there was no way to ship the bike via container. 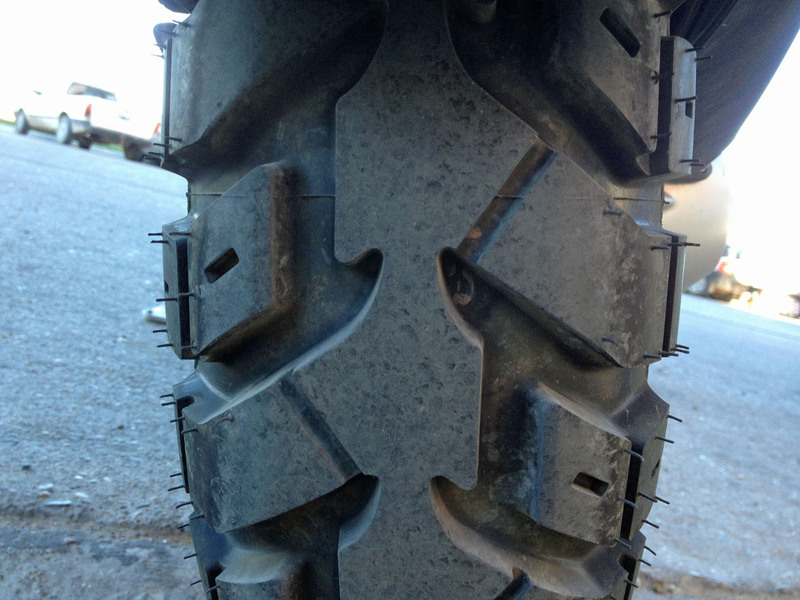 So now we were looking at a 3000 km ride back into Argentina to Buenos Aires with rear tires that only have about 1000 km of life left in them. Tomorrow I look for tires for the bikes and get ready for the long ride. We left after breakfast from Ushuaia headed back the way we came. 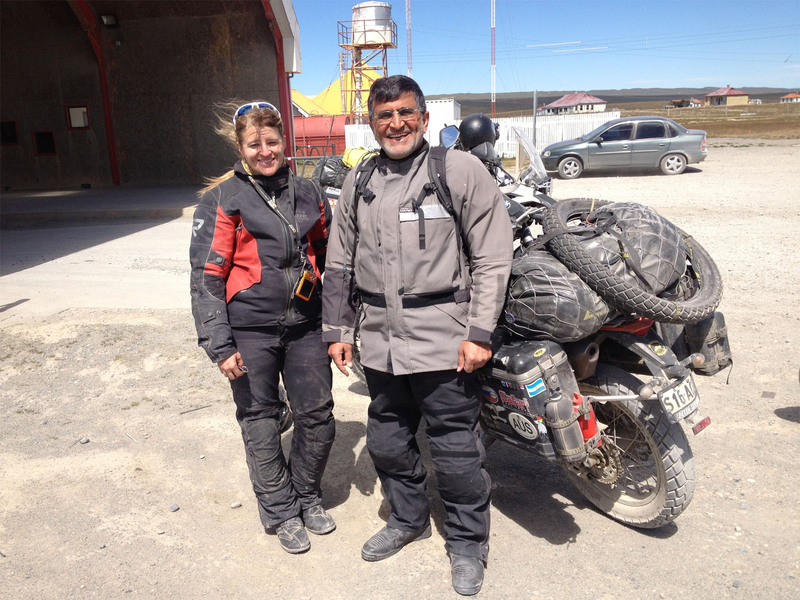 we stopped at the same fuel station to fill up and then continued on to the border where we usually meet other travellers travellers, this time Ali met Sherri form Australia. After the border the gravel road started again. Since there was more than one rout to the ferry we decided to take another gravel road than the one we used last time. Which was more compacted in places and less patches of loose gravel. 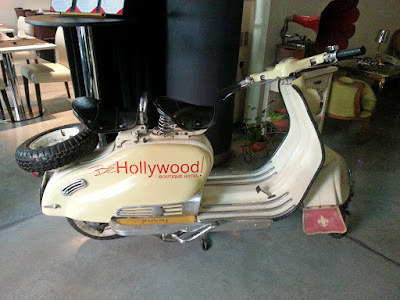 This also made us go a bit faster since we had gained more confidence in riding off road. After about 120 km of gravel Hussain decided to come close to Ali to shoot a video with the helmet cam and started to drift into really heavy and loose gravel which made him loose control and wiped out into the grassy ditch. Ali stopped right away and ran to Hussain while I had to make a U turn and fount Hussain with a nasty cut on the side of his nose. 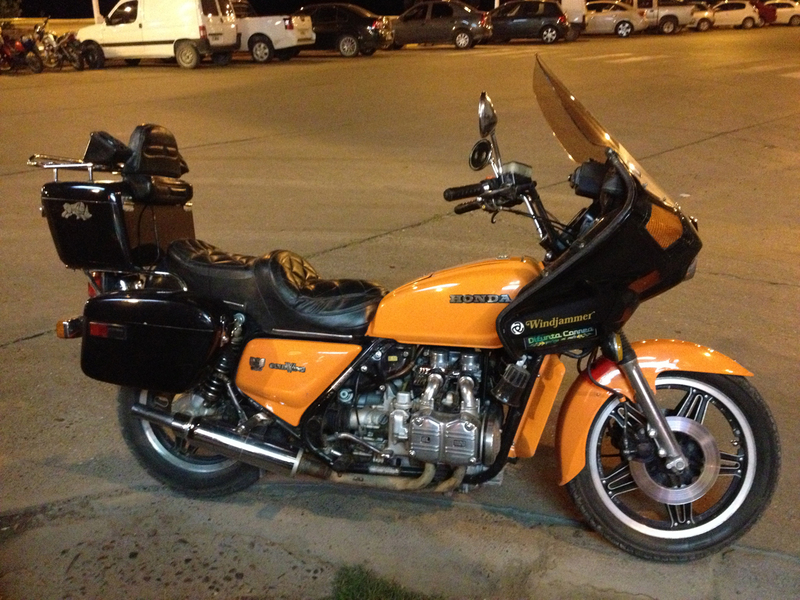 Luckily an Argentinean bike named Raul and his wife in a pickup truck were passing by and they stopped to help. I got the first aid kit and we bandaged the cut but it needed stitching. Raul agreed to ride Hussain's bike to the ferry station while Hussain rides in the pickup. 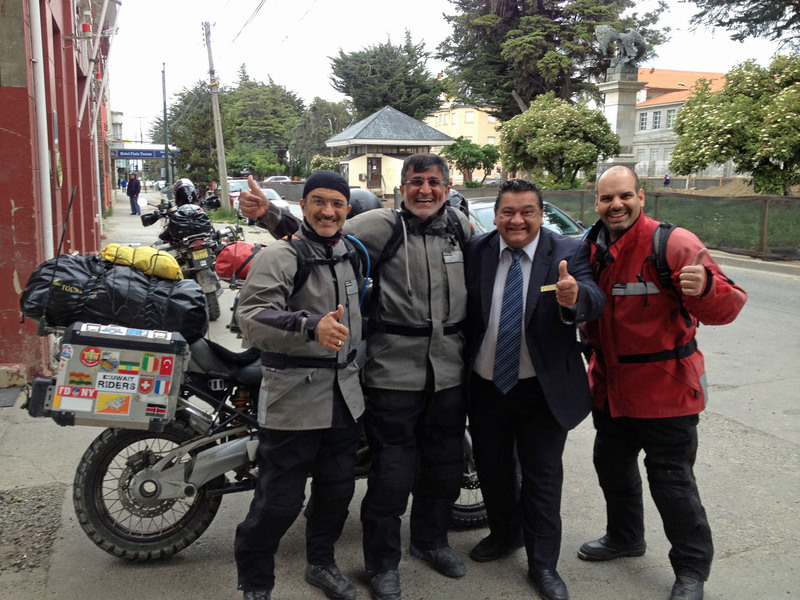 it was about 60 km until we reached the ferry station where Raul talked to the police man and was given directions to the Ambulance near by. They took a look and agreed that he needed to go to the nears clinic which was 50 km away. Ali stayed with the bikes at the ferry station while I went with Hussain to the clinic. At the clinic the doctor was thorough with many questions to make sure there wasn't a concussion. 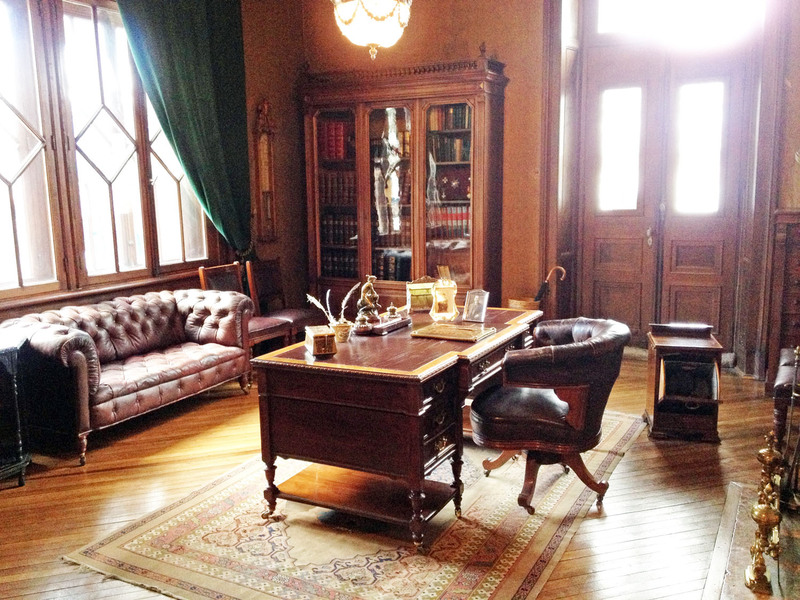 and mentioned that the cut is complicated and needed a specialist to do the stitching in Punta Arenas. 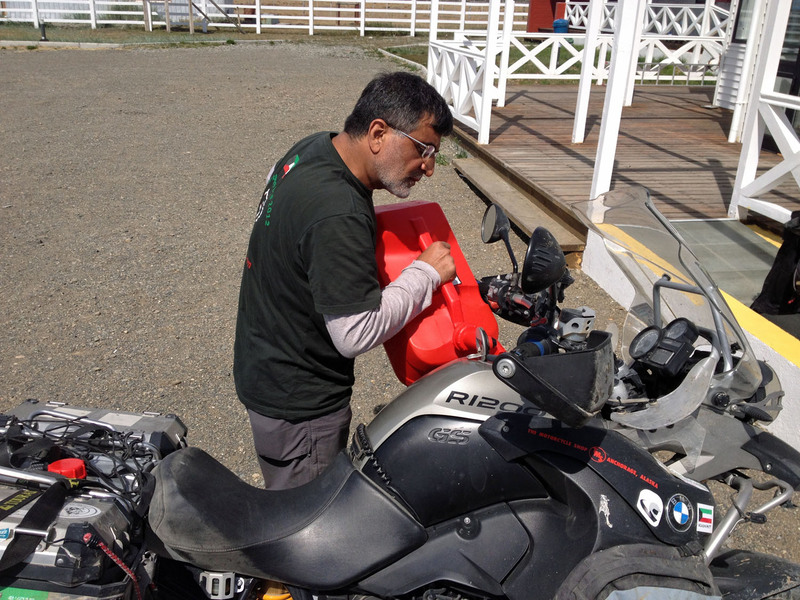 Hussain wanted to ride but the doctor refused and managed to get him an ambulance ride to Punta Arenas. Ali found a group of Valenzuela bikes who tried to get transport for Hussain's bike to Punta Arenas but it didn't work out so we left Hussain's bike at the police station near the ferry and went on to Punta Arenas with the plan that tomorrow Ali returns and rides Hussain's bike back while I go and see about shipping to Kuwait. We reached the hotel around 10:15 pm and while we were unpacking the bikes Hussain walked in with 11 stitches and an appointment for check-up tomorrow. We were grateful for all the people who helped us during this time. 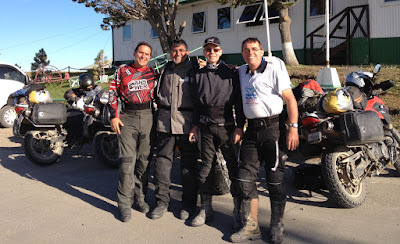 We left early from Puerto San Julian headed south to the first border. We had some fuel so we made the mistake of not stopping about 120 km out of town and had to reduce our speed considerably the last 130 km since there were no fuel stations until we reached Rio Gallogas. Once we got fuel we continued on to the border and spent two hours making that crossing. 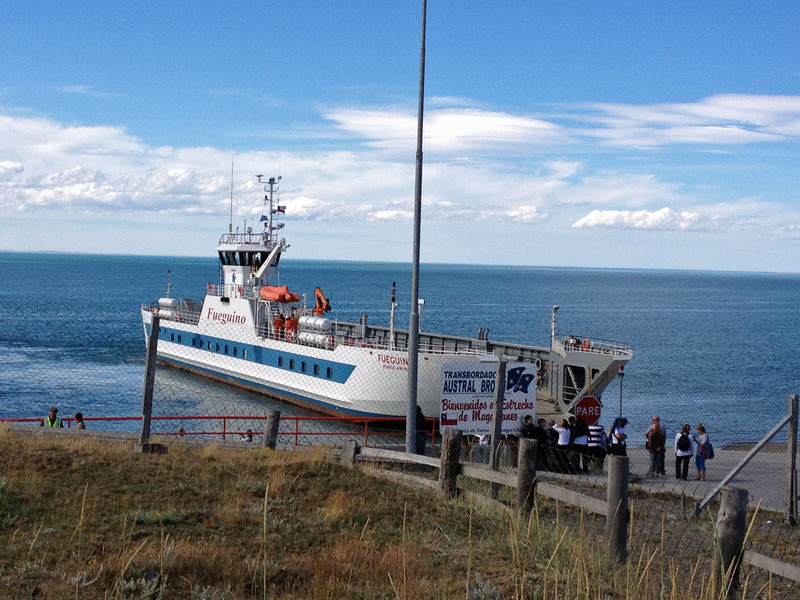 We then went on to the ferry and crossed the Magellan strait into Tierra del Fuego . We continued for about 40 km until we reached the gravel section which we rode for 107 km until we reached the Chilean side of the border completed our crossing and then another 14 km of gravel until we reached the Argentinean side then we hit the tarmac. Initially we were headed toward Rio Grande and then continue tomorrow Ushuaia but since we were already having a long day and the road was good we decided to continue on to Ushuaia and spending two nights there. 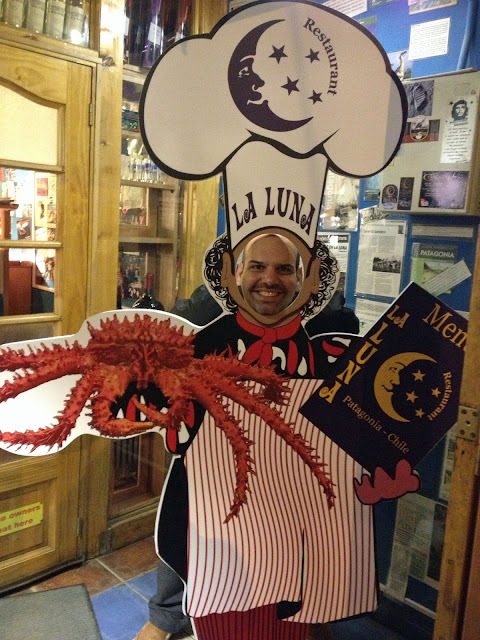 We ran into the fuel issue again until we reached a station 100 km away form Ushuaia and had dinner there also. 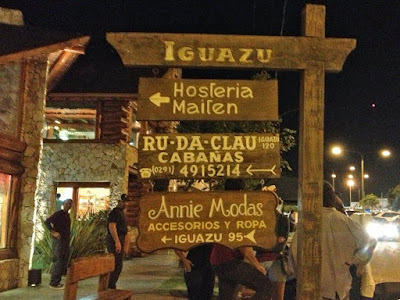 We reached Ushuaia around 1:00 am and spent about an hour until we found a hotel with the air of a guy from Rio Grande with the condition that it be only one night since the hotel was booked. In the morning we got up as late as possible had breakfast, reserved another hotel online, checked out of the current hotel and went looking for possible shipping for our bikes at the tourist information center. We managed to find the Ushuaia end of the world sign and Ali talked to the biggest shipping company who stated no shipping to Kuwait. We also cam across a tour guide who mentioned that we should go to the end of Routa 3 which ends in a national park and with a sign that mentions the distance to Alaska. So we checked into the new hotel and on the way met three bikes two of which where on Goldwings from Brazil, We asked how they managed to cross the gravel road, and they mentioned that it was normal riding although they do get banged up from underneath. 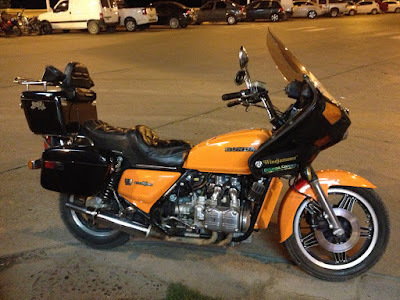 Tomorrow we go to Punta Arenas in Chile with the hopes of finding shipping there since we didn't want to ride Routa 3 all the way to Buenos Aires. We came across the Uruguay family twice along the way and ended up staying at a nice hotel in Puerto San Julian which is a nice port town. Tomorrow we head for Rio Grande crossing the border twice and riding a ferry. Up to today we haven't had any progress in finding confirmed shipping for our bikes from Ushuaia and time is running out we don't have enough time to go to Ushuaia and then back to Buenos Aires since that is the only place we now know we can ship out of. So after a lengthy discussion yesterday we decided to not continue to Ushuaia and go to Buenos Aires instead. However this morning Hussain declared that he wanted to go to Ushuaia alone. 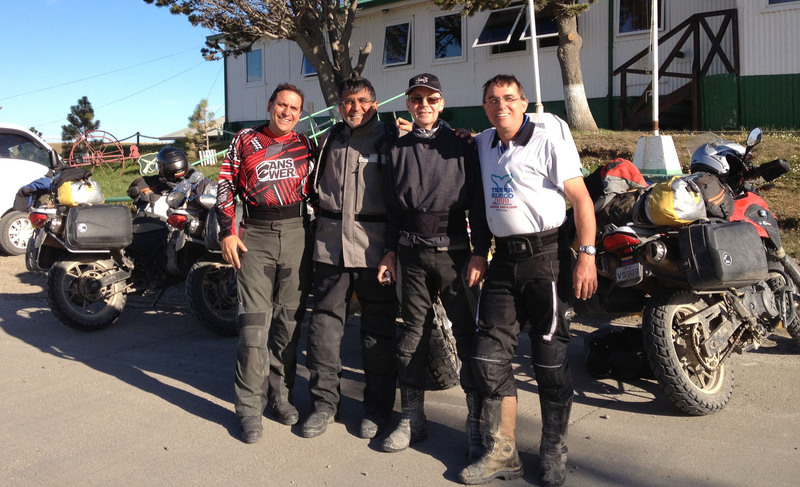 We had another discussion and decided to go as far as El Calafate and then see if we get any news of shipping by then. So we left down Routa 40 headed south until we reached a small town called Gobernador Costa and found a small hotel . We walked around town and stumbled on a family from Uruguay who were going across to route 3 which turned out to be faster since it was all tarmac. We calculated that if we skipped some of the sights we can make it to Ushuaia and back to Buenos Aires in time. So that is what we decided to do. During the planning phase we stumbled across route 234 which is supposed to be very scenic and goes by 7 lakes. The family running the hostel were very impressed with us that they wanted to take a picture with us before we left. We started down rout 234 and had to stop several times since the scenes were so picturesque , every one on the rout stops at the look out stops so we got to meet many people. On one of the stops we got to see a 1964 Mercedes camper that looked incredible. it was like we went back in time.The owner wanted to take pictures with our bikes and we wanted pictures of his truck. The route continued until we reached the gravel part which lasted almost 30 km and past the construction where they are turning the gravel into tarmac. We reached the hotel in the afternoon with rooms overlooking the lake and mountains it was a great view and a nice end to a great riding day. Today was washing cloths and exploring the town day but it had to start late since I was having trouble with the laptop connecting to the internet. 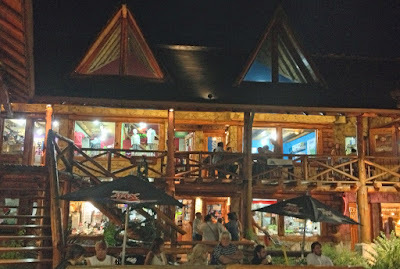 We had coffee at the best coffee place in town and walked around exploring and found T-shirts with Routa 40 on it which is the main route south to El-Calafate and crossing Patagonia. Tomorrow we head down route 234 visiting 7 lakes on our way to San Carlos de Bariloche. We decided to meet up at my hotel at 7:30 am since it was the closest to the end of town. With only some fruits for breakfast I was waiting for Ali and Hussain who had to ride over some sidewalks to get to me due to the closing of some of the roads for the triathlon. Once they arrived we left right away down the road towards Argentina until the GPS told me to take a left when there was no road. We continued for almost 15 km until we asked and realized we were going the wrong way. We turned around and started to look for the right road until we asked a guy coming off a gravel road who said that it was the way to Argentina. We rode on gravel for 5 km and asked again, a nice woman explained that the gravel road would take us to Argentina but it wan't the best way. She mentioned another road further back but warned us that it might be closed due to the race. We decided to go back crossing the 5 km of gravel again and about another 5 km of tarmac until we reached the turn off and found that it was closed since the race already started and will not be open until 4 pm. So we decided to go back to the gavel road and take our chances which tuned out great especially since the road went past many farms and the country side until we reached the road and then found new gravel until the border. The border was fairly easy and we continued down route 234 to San Martin where we had booked a nice hostel in the middle of town and then went to explore the town with lunch at a very nice restaurant. and found a cafe for tomorrow's coffee time.